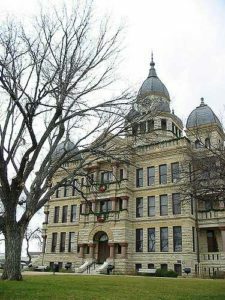 If you were involved in a car accident in Denton, Texas, you may be interested in obtaining a copy of your Denton car accident report. The report may be useful for any next steps you may wish to take following your car accident, including legal action. The following information is only relevant if your accident was responded to by a Denton Police Department officer who filled out and filed a car accident report. If your car accident was responded to by a Texas Peace Officer, information about obtaining your accident report from their department can be found here. If you wish to obtain a copy of your Denton car accident report, there are a couple of different ways for you to do so. We’ll get your Denton accident report for you. Just provide the details of your accident, and we’ll track down your Denton accident report and email it to you. At this point, you will be prompted to create an account with your name and email, if you do not already have an existing one. Once you reach the records request page after you have created an account, select “Accident/Crash Report” under the “Type of Record(s) Requested” heading. While none of the information in this section is required, the form asks for the case number, the date that the incident occurred on, time of the incident, the location of the incident, and officer name/or badge. It is helpful to provide as much information as you can in this section so that your accident report can be located. Below this section is a box you are required to fill out with any further details that you believe may aid in finding your report.